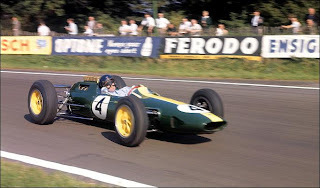 Positive Earth: Lotus Returns to Formula 1!! Lotus Returns to Formula 1!! Team Lotus is planning a return to Formula 1 in 2010. According to this article by the BBC, Team Lotus will be initially based in Norfolk, UK but will eventually move its operations to Malaysia. For those who don't remember, Lotus is owned by Proton - a Malaysian automaker. Lotus has not been in F1 since 1994.